I am an Indigenous person. I am also the president of a colonial institution. At times, the combination is unsettling. Looking out at the sea of faces during the first convocation I attended as president of MacEwan University could have been one of those times. It wasn’t. In addition to the traditional caps, gowns and speeches, were Indigenous drumming and smudging ceremonies, and Indigenous students crossing the stage wearing a stole designed just for them. I realized that this was what reconciliation could look like – two realities, side by side, working together. In spite of what I saw that day, I’m sad to say that the Canadian postsecondary system, of which I am a part, continues to fail Indigenous peoples. While 29.3 per cent of Canadians graduate with university degrees, only 10.9 per cent of Indigenous peoples have a university education. On the surface, the reasons for the disparity seem obvious, including a relatively low number Indigenous students who complete high school (60 per cent, compared a national average of 87 per cent). However, other barriers clearly exist. Canadian preconceptions about the value of Indigenous knowledge, traditions and languages, and practices that privilege the colonial histories of universities are barriers which impede access to education – a vital component of the Truth and Reconciliation Commission of Canada’s Calls to Action. The low rate of postsecondary attainment of Indigenous individuals has a practical and significant impact because Indigenous peoples represent Canada’s fastest-growing demographic. Three of the six federal Economic Strategy Tables state that the future of key industries will demand the participation of underused talent pools, notably Indigenous peoples. Developing these skills will require the full participation of universities. First, by developing programs that allow students who may not be optimally prepared to access a postsecondary education and second, by providing the financial and cultural supports necessary to ensure students succeed when they actually get to university. MacEwan University is working to promote access for Indigenous students through our pimâcihisowin Foundation Program, which will launch in January. The program will act as a pathway for our Indigenous students, allowing them to upgrade their high school qualifications and obtain credits required to enrol in specific MacEwan degrees, diplomas and certificates. 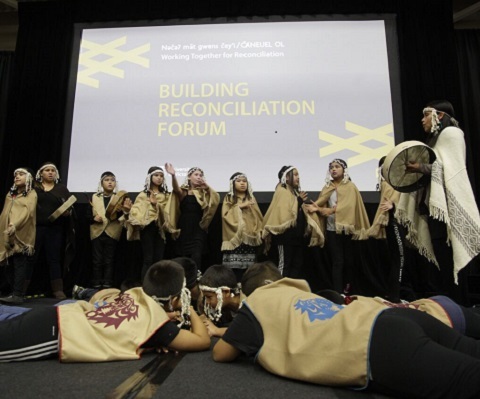 The goal is to provide a culturally and academically supportive environment aligned with the TRC’s Calls to Action – one that includes programming aimed at revitalizing, rebuilding and restoring Indigenous languages and cultures. Students also need financial support to ensure their success in university. 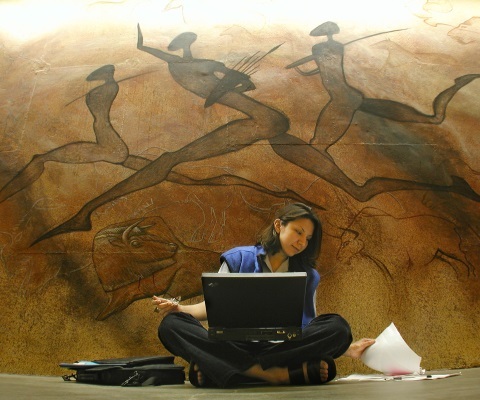 Between 2001 and 2006, more than 10,000 qualified Indigenous students were unable obtain funding to go to university. Organizations like Indspire, a national Indigenous-led registered charity that invests in education, are helping young Indigenous people get to university through bursaries, scholarships and other financial supports. Increased federal funding would extend those supports to a greater number of Indigenous students across the nation. Once Indigenous students receive the funding they need, have enrolled in their classes and arrive on our campuses, we must demonstrate that we value Indigenous culture. Every entrance at MacEwan University has a plaque that pays homage to the land in Treaty 6 Territory upon which we are located; our strategic framework affirms our determination to meet the calls to action of the TRC. Engaging in ceremonial practice across our campuses removes barriers and creates safe spaces for our student body and community. Routinely recognizing the land and treaty obligations, and blending elements in other important ceremonies, such as convocation, brings us together. These are all actions that send a strong message to our community and allow us to engage with Indigenous communities and organizations. Creating opportunities for Indigenous people must extend to every part of our operations. We know it’s not enough to have Indigenous centres staffed by Indigenous people; we need Indigenous people in every area of our campuses. 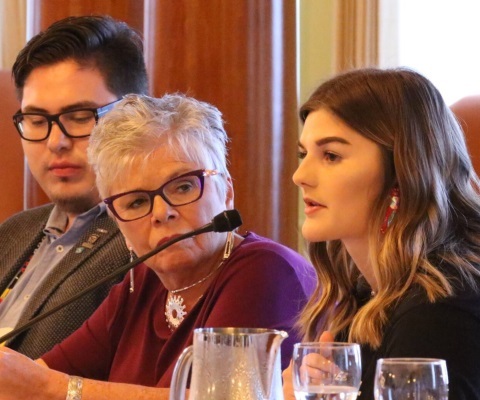 That’s why more than two-thirds of Canada’s postsecondary institutions are working to include Indigenous representation within their governance or leadership structures. It’s why the number of university academic programs that include an Indigenous focus increased by 55 per cent since 2013. And it’s why Canadian institutions have spent the last three years implementing our commitment to enhancing educational opportunities for Indigenous students. When our Indigenous students to see themselves represented throughout our institutions, they know that we are committed to reconciliation. At MacEwan and at other universities, we are developing course work to meet the calls to action of the TRC. We partner with institutions like University nuhelot’įne thaiyots’į nistameyimâkanak Blue Quills, giving students opportunities for experiential and land-based learning that develops their knowledge of Indigenous teachings, customs and value systems. UnBQ is one of a number of post-secondary institutions in Canada owned and operated by First Nations. In my opinion, the CEOs and presidents of these institutions are doing critical work, putting together much-needed courses despite operating with very limited funding. Partnerships are tangible displays of respect for Indigenous knowledge. Working with Indigenous owned and operated institutions, rather than competing with them for students and faculty, demonstrates concrete support for reconciliation. At MacEwan we have seen tremendous demand for these courses, extending beyond our Indigenous students. However, we also face questions about whether these are “real” courses and about evaluating learning outcomes. To partner meaningfully with Indigenous institutions, we need to have difficult conversations about the ways in which we define learning and the different forms learning can take. We’re doing good things, but we need to do more. We need more partnerships with Indigenous institutions. We need to rethink the parameters we put around postsecondary education. And we need the government to invest in post-secondary funding for Indigenous students. We must to keep reminding ourselves that we can transform our institutions. When all universities truly embrace the role we play in providing vital opportunities for Indigenous learners, we can stop telling ourselves the story of what needs to happen and start reaping the benefits of what comes from actually doing it. 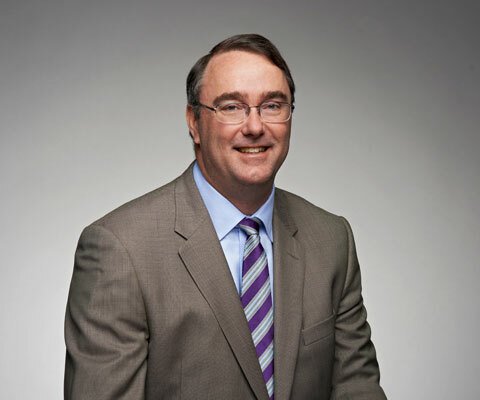 Reconciliation between Canada and its Indigenous cultures, communities and peoples is an ethical, social and economic responsibility – one that universities play a critical role in facilitating. The responsibility is vast. So are the opportunities.